AFP Shrewsbury > News > mortgages > What Happens If You Miss A Mortgage Payment? However well you manage your finances, there is always the possibility that things just don’t go as planned, resulting in a missing mortgage payment. Unfortunately, this is a problem that will not simply disappear, or go unnoticed. 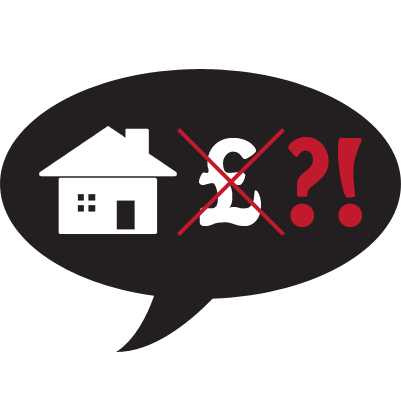 A missed mortgage payment could seriously affect your credit rating, this could cause you problems with future loans or re-mortgaging. Continuous missed payments can ultimately result in the repossession of your home. Most lenders will have advised you to take out some sort of Mortgage Payment Protection Insurance, (MPPI), this is something you should study carefully, so you are sure of exactly what it covers. Whatever the reason for your missing payment, the first, and most important thing to do is to contact your lender and explain your situation. Most mortgage companies will try to come to some kind of arrangement with you. Check your mortgage terms and conditions to see if you are eligible to take a repayment holiday. This will need to be prearranged and applied for before you miss any payments, so you must have your lenders approval before you miss any payments. Usually you will have had to have made your minimum payments on time for some time before this will be approved, this amount of time can vary from 6 months to a 1 year or even more. Different lenders vary on their terms and conditions. Some lenders will not allow any repayment holiday unless you over pay your minimum payment for a fixed period before taking the holiday. Not all lenders will allow repayment holiday. Your monthly payments will increase after the holiday has ended, due to the interest that has built up during your payment holiday. Your lender may suggest you pay a reduced amount of your monthly payment for a fixed period of time, this will however, increase your interest. This will bring down your payments significantly, but you will have to find a way in the future of paying off the loan, otherwise your home will be owned the mortgage company. Check with your mortgage company to see if this is an option. Paying nothing for an agreed period of time is an option with consequences, this could affect your future credit rating, as it may be noted on your credit history as a default payment. Paying something, however much or little, is always better than paying nothing. You could lengthen the term of your mortgage from 20 to 25 years for example, this will bring down the monthly payments. This option will depend on your mortgage company’s terms and conditions. If you are sure that your situation won’t change long term and you need to live somewhere cheaper, then you may want to consider selling your property. 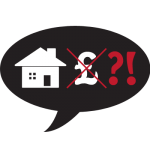 Check whether it is possible for you to sell your home to either the local council, or a social landlord, and stay on as a tenant. Remember: The most important thing to do is to communicate your problem with your mortgage company, repossession is a last-resort, lenders will want to try other possibilities as they do want you to repay the loan. Mortgage companies are under pressure, from organisations such as The Financial Conduct Authority, to treat their clients with sensitivity, so as long as you contact your mortgage company as soon as possible to explain your situation. You should be able to come to some form of agreement.